bulletin and chalk boards down and the shelves and brackets off the wall and got rid of the storage cupboard. 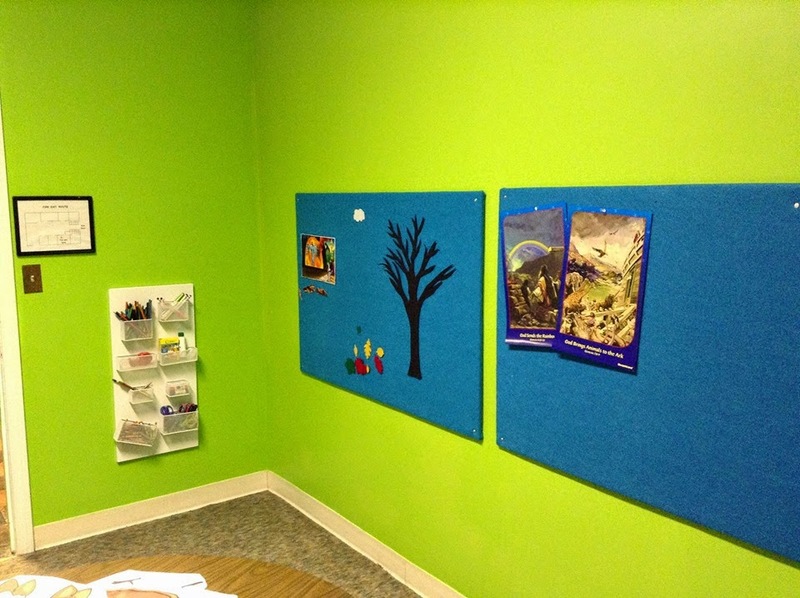 Then I scoured Pinterest for ideas of how to create an enticing classroom in a small space. Last week you saw the metal board organizer I found and made. I also saw these cool flannel boards on Pinterest that were placed low enough for kids to play with. The flannel boards came from one of my favorite blogs, Apartment Therapy which has great DIY ideas for small spaces. The Pinterest project called for Homasote boards. I had no idea what Homasote was. Neither did the guy at Home Depot or our other local chain, so I did what any sensible person would do, I googled it. I learned that Homasote is a brand name for a wall board product. It turns out that Homasote, and its generic counterparts are great for DIY projects. This fiber board has some added benefits. It absorbs sound, it’s moisture resistant and it even provides thermal insulation. Wow! 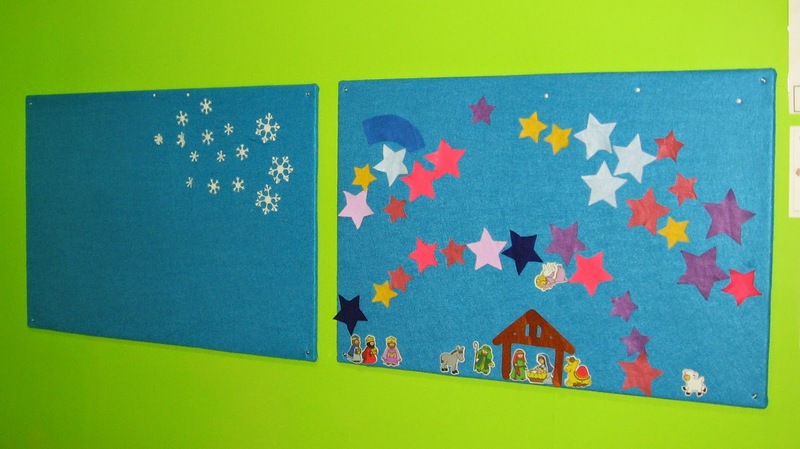 And I just wanted functional felt boards that looked good. Pinterest post. 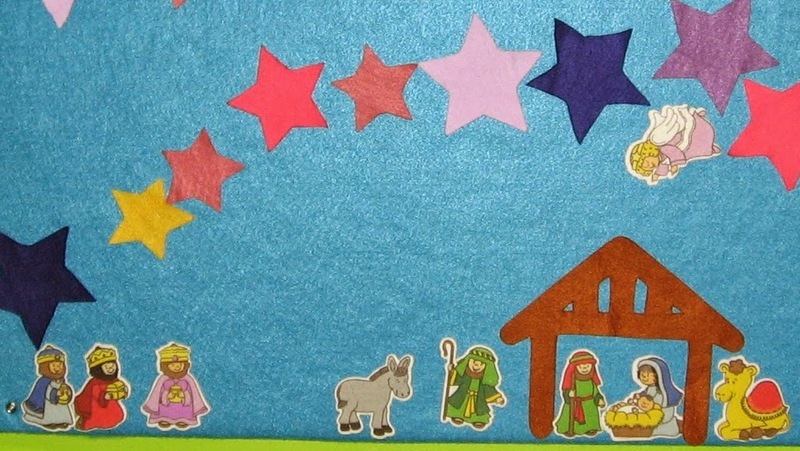 I had the vision of having felt cutout pieces from Bible stories available for the kids to play with when they arrived early. I purchased the pieces for the nativity scene from OrientalTrading. The kids love playing with it at Christmas. Betty Lukens has some great flannel graph sets. Pictured at the right is one of the stories from a Betty Lukens Feltbook Activity Kit. The activity kit pieces are a lot smaller than their other offerings. The upside is that I got 8 stories for $15.00! They sell regular sized felt stories and even giant sized ones. 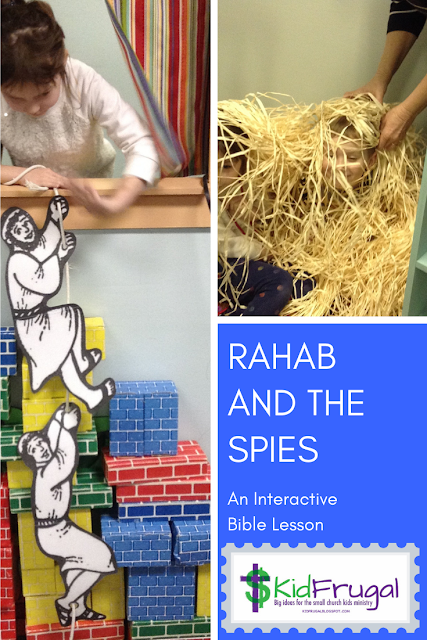 The Felt Source sells sets using the pictures and characters as drawn in the Beginner’s Bible. They are worth checking out if you can get their link to work. I have been drooling over these for a long time! Here is the link for the original instructions found on Apartment Therapy. If you have never visited this blog, I highly recommend it. Center a board on a piece of felt. Wrap the felt to the back and staple at the center of each side. Make sure the felt is even and tight. Continue stapling, working to within 6 inches of the corners. To miter the corners, fold the felt corner point in toward the board. Staple it in place along the edges of the board, then trim away the point. Fold down the "ears" that remain and staple them in place to finish the miter. Find someone to hang the boards for you :-).